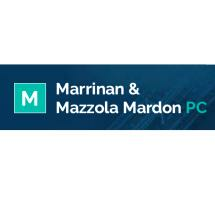 With a history that dates back more than 50 years, the law firm of Marrinan & Mazzola Mardon, P.C., in New York, New York, is one of the premiere legal practices in the country devoted to labor, employment and employee benefits law. Serving the needs of both plaintiffs and defendants alike in high-stakes, complex litigation, the firm's attorneys are fully committed to asserting your rights and protecting your interests in both state and federal courts as well as before various state and federal labor agencies, including the U.S. Department of Labor, the National Labor Relations Board, the Equal Opportunity Commission and the New York State Division of Human Rights. To find out more about how Marrinan & Mazzola Mardon, P.C., can best serve you and your labor union, you can contact their law office to schedule a free initial consultation.